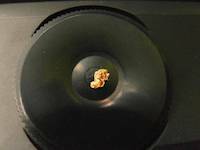 In this category there are various gold nuggets and gold particles, concentrates as found during the program Start Your Own Gold Mine in Tanzania, Uganda and other countries. 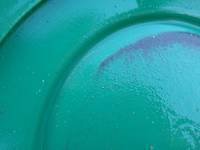 Fine gold in the pan requires skills to be recovered. This was the best field assay ever with more than 3,000 particles of gold visible in the pan. 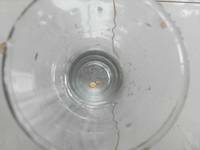 The particles are counted by using the hand lens. This is very rich gold ore. 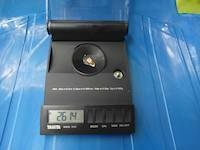 Immediately after this assay we have started planning on how to obtain exactly this ore under our control. 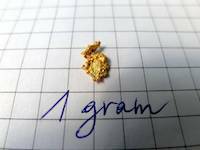 This is 14 grams of gold on the gold scale. 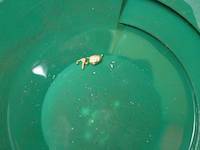 This is about 14 grams of gold that miners upon my insistence recovered by simply panning the gold concentrate. They have first recovered all the gold without mercury. I was happy, and came there to see the result and eventually buy the gold. 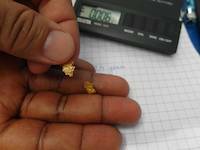 We are buying only environmentally friendly recovered gold. That means that gold recovered with mercury we are not to buy. We do tolerate our clients who are buying such gold and advising them how to buy it safely. This is more than half a kilogram of gold in my hand. 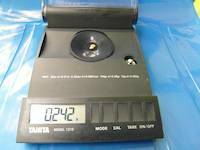 This is gold nugget on the scale. Gold nugget on my finger. 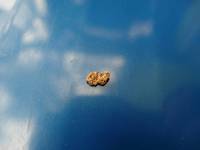 Gold nugget with some soil particles. This is beautiful yet unclean gold nugget. 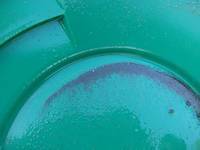 It contains soil particles. 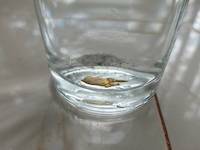 This is melted gold in the vial. Vial is a small bottle usually for drugs, medicine, specimens. This is gold in the vial. It is easier to contain it that way. 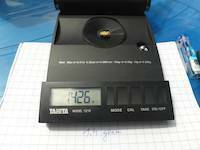 This is 2.614 grams of gold on the scale, just after melting. 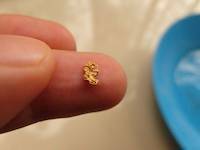 This is 2.63 grams of gold after melting on the scale. To take the graphite crucible for gold melting one need to use proper tweezers. Asbestos hand gloves are recommended as well. This is melting furnace for gold. It can melt 1 kilograms in an hour. Laurence is melting gold with the melting furnace. Mercury is dangerous substance that may cause cancer and other diseases. 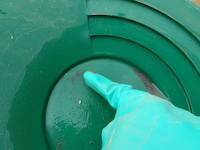 It pollutes human body, animals, plants, water source and environment. 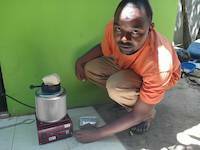 In our mining program Start Your Own Gold Mine we are not using mercury but recovering it when necessary and teaching miners how to implement mercury free methods. We do not use mercury in our programs. 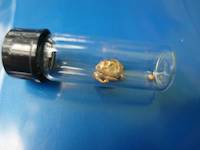 This gold was brought to us as sample from a mining site. 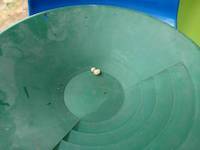 Mercury is dangerous substance that may cause cancer and other diseases. It pollutes human body, animals, plants, water source and environment. 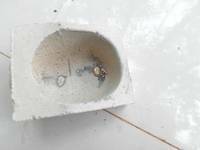 In our mining program Start Your Own Gold Mine we are not using mercury but recovering it when necessary and teaching miners how to implement mercury free methods. 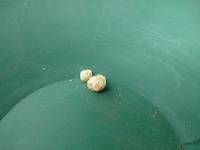 On the picture one can see gold balls as result from rudimentary local gold recovery methods. We are not using mercury in our program Start Your Own Gold Mine. 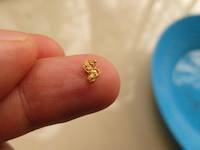 This is gold nugget on the hand of a local miner. Surprisingly on this mining location all the small gold was disposed into the soil and only large gold nuggets collected by miners. We bought gold nuggets as many as we could. 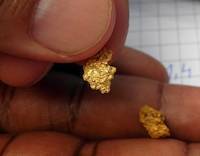 These gold nuggets are natural and have been found nearby the Geita Gold Mining company in Geita, Tanzania. This is nice gold nugget in my hand. 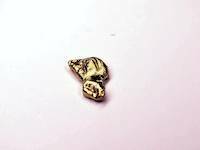 This is 1.426 grams of gold nugget. 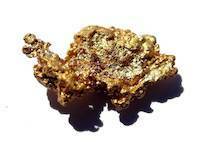 Beautiful gold nugget on this picture was found on one of the mining sites. 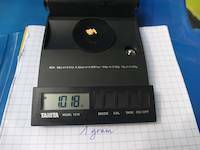 This is 1.018 grams of gold nugget on the scale. 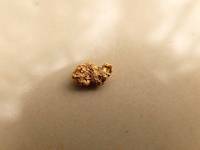 This is one beautiful gram of gold nugget we found on the mining site and cleaned it thereafter with the apple cider. 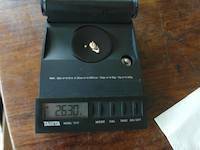 This is first gold we bought in Tanzania back in 2012. One of miners arrived to our office, we have melted the gold and bought it.